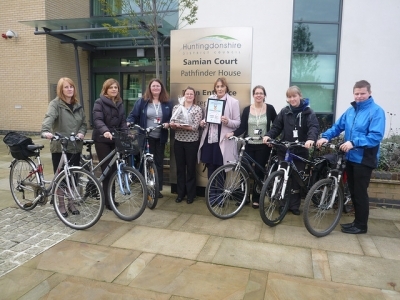 Our cycle loan programme helps businesses and other organisations to increase cycling levels, by letting their staff or students borrow a quality bike and accessories for a month or more. In this way, individuals can try cycling with loads of support and advice before committing to buy. We can offer city and electric bikes as well as cargo bikes, tandems and folding bikes. Families are supported with the offer of child seats, trailers and children’s bikes so for short journeys, there really is no excuse not to give cycling a try.